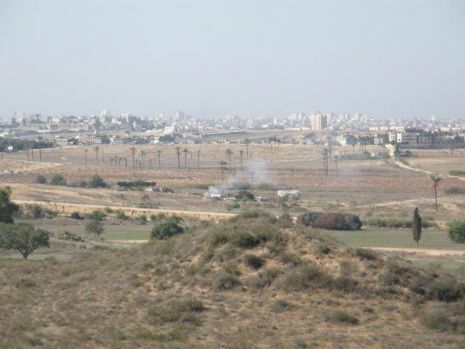 This city of Sderot is once again is in a state of high alert after several months of relative quiet.Barrages of Qassam rockets fall once again. Code red alerts can be heard throughout the city abruptly disturbing the daily routine of the residents who live there. The lives of the city's inhabitants are suddenly in danger and this greatly affects their quality of life. Worried parents‚ frightened children‚ especially those who have already suffered from Qassam attacks in the past‚ return once again to emotional and psychological stress. This city of Sderot is once again is in a state of high alert after several months of relative quiet. Barrages of Qassam rockets fall once again. Code red alerts can be heard throughout the city abruptly disturbing the daily routine of the residents who live there. The lives of the city's inhabitants are suddenly in danger and this greatly affects their quality of life. Worried parents, frightened children, especially those who have already suffered from Qassam attacks in the past, return once again to emotional and psychological stress. In these last days, Chabad's Terror Victim Project along with Beit Chabad of Sderot, have significantly stepped up their aid and support to the city's residents. They have also met with the city's mayor, Mr. Eli Moyal. Case in point,two years after a 16 year old boy was injured by a direct hit of a Qassam, he is still in the process of physical and emotional rehabilitation. The surgeries, medical procedures, and intense therapy to deal with the trauma has taken a great toll on the lad already.. In recent months he has begun to return to school on a part time basis, which is a good sign of progress in the process of rehabilitation. The parents have begun resuming a normal daily routine, while keeping up with the regular therapies. The father, who was laid off after his son's injury, has even begun a new job working at his brother's business. It seemed that they had reached the final stages of rehabilitation. The renewal of Qassam missile firings in recent days has made their routine into a recurring nightmare. The injured boy is awake at night, overcome with memories of the moment he was injured. He has moved his bed and his belongings to the bomb shelter, unable to leave the shelter for more than short periods of time. Feelings of fear and horror accompany him all night, preventing him from sleeping, resting only by day with the help of medication. His father has once again been required to leave work to look after his son. His mother is on the brink of emotional breakdown, and only with superhuman effort does she manage to keep her sanity. This is only one partial account of the difficult and complicated situations which the residents of Sderot are going through. Beit Chabad of Sderot and Chabad Terror Victims Project are providing heightened support to the city's residents. 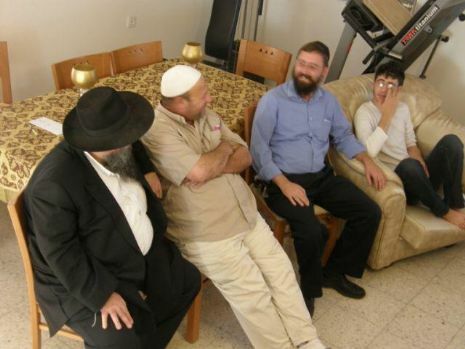 The Shliach, Rabbi Zeev Pizam and his wife provide a sympathetic ear for the resident's problems, and offer solutions and tips for dealing with the situation. With endless patience, they give them words of strength and encouragement, and the residents don't cease to praise their efforts. Chabad's Terror Victim Project visited many families and extended financial assistance for various medical and economic problems. This assists them greatly in their process of rehabilitation. 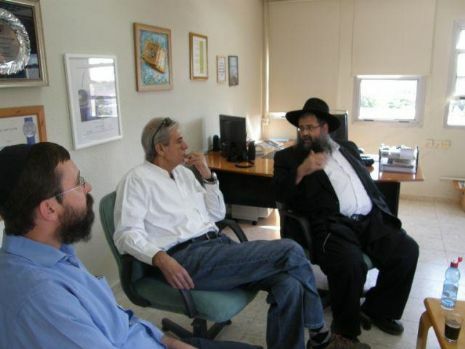 At the end of their visit to Sderot, Rabbi Menachem Kutner and other visitors from Chabad, along with the Shliach to Sderot, Rabbi Zeev Pizem had a meeting with the Mayor, Mr. Eli Moyal. The mayor who is finishing his term in the coming days met with them at length and showered praise on the great work that Chabad continues to do in his city. The visitors had a real reminder that the meeting was taking place in Sderot, when suddenly the mayor jumped from his chair shouting, "Qassam on the way". After several moments, they heard that the rocket landed in an open field outside the city, which didn't set off the alarm, but did send a message to the mayor's pager.